“I used to work at an office located somewhere in Tanjong Pagar and whenever I work late, the office floor always gives a strange feeling. At times, I can hear the sound of someone typing on their keyboard in the distance, but when I stand up to look, there’s no one else left in the office… but me. The scariest encounter I had was when I went to the washroom alone at around 9pm. I had entered into the cubicle and just as the door closed, I heard the tap come on. I thought it could have been someone who just came out from their cubicle but after a minute, the sound of the tap didn’t turn off. Feeling thoroughly spooked, I knew I had to get out as soon as I can so I rushed out of the cubicle after washing my hands. As it turns out, it wasn’t just me who encountered it. A colleague of mine had stayed back late together with me and when we visited the washroom, the same thing happened again. This time, we both knew that the cubicles were empty before we entered ours so there was definitely no other explanation for it. “This happened during a free period on a rainy day when my classmates thought it would be fun to replicate the Ouija board to see what could happen since they were pretty confident nothing would come of it. Curious, I joined the group that had gathered around the table as they held the pencil (in place of the penchant) in the middle of the paper. As soon as one of them asked that question, the temperature weirdly got colder. I thought it had to be the strong winds from the rain but it was just a drizzle. My classmate decided to continue with another question when nothing happened. I started to feel uncomfortable when she asked that question. That was when the pencil they were holding started to move slowly. A few of us scoffed, determined that the pencil moved because they were doing it. But when I glanced up at their faces, they didn’t seem to be faking it. I nudged my classmate’s free arm and asked if they were moving it but she just shook her head in slightly stunned silence. I returned to my seat in fear. As I began to concentrate on the book I was reading, I noticed a blurry figure walk pass the corridor from my peripheral vision. Wanting to confirm what I might have seen, I quickly turned to look but there was nothing there. My friend who was sitting behind me noticed my reaction and I asked if she saw it. She nodded in agreement and all of a sudden, the windows around the classroom started slamming against the frames loudly, and the drizzle turned into a full-on intense shower. Feeling that this was some sort of sign, the Ouija board playing group quickly ended the game and no one spoke of it since then. A few days after the incident in our classroom, the drawn-out Ouija board game had caught on with other classes. And eventually, someone from one of these classes started exhibiting strange behaviour. This schoolmate had been playing with the Ouija board in class when she started laughing uncontrollably. She simply couldn’t stop and was also crying at the same time from the toll of being unable to stop. It got so serious that one of the teachers started to pray over her as they waited for the ambulance to take her to the hospital. After that incident, our discipline master made a school announcement to ban the creation and play of the Ouija board. Word got around about what had happened and it was enough to permanently stop people from playing it as well. When the girl returned to school, many asked what exactly happened to her but she had no recollection of that day. “My cousin told me this story that happened to her brother when he was in NS. I’m not sure which camp it was, but I don’t want to know anyway. He had been stationed outfield the whole day and also had a whole day training. When the day ended, all his mates including him were too tired to shower so they decided to just sleep and take a shower the next morning. My male cousin had a sudden urge to use the toilet and since he had to do his ‘business’, he might as well take a shower, right? Usually, the platoon goes to the toilet in pairs but after the vigorous training they underwent, my cousin’s buddy was too tired to accompany him. To top it off, my cousin has the third eye so he is able to see spirits from the other dimension. “This is a story my mother and sister told me when they went on a holiday to Cebu. After checking into their hotel room, my mum had apparently seen a shadow woman by the hall, which was between the bathroom and the closet that led into the room. As she had felt pretty exhausted from the flight, she didn’t think much about it and opted to think it was just her mind playing tricks on her. Unbeknownst to my mum at the time, my sister was on her way out of the bathroom when she too saw the shadowy figure. For the duration of their stay, the two of them tried to ignore the presence of the shadow woman in their hotel room. And not wanting to frighten the other, they kept the sighting to themselves. Every night, my sister would always check to make sure the shadow woman stays where she is while my mother would play the rosary prayer out loud from a video she found on YouTube. “A long time ago, during the Chinese Qingming Festival or Tomb-Sweeping Day, I had decided to take photos of the tranquil surroundings as I had just gotten my first Sony Ericsson camera phone. 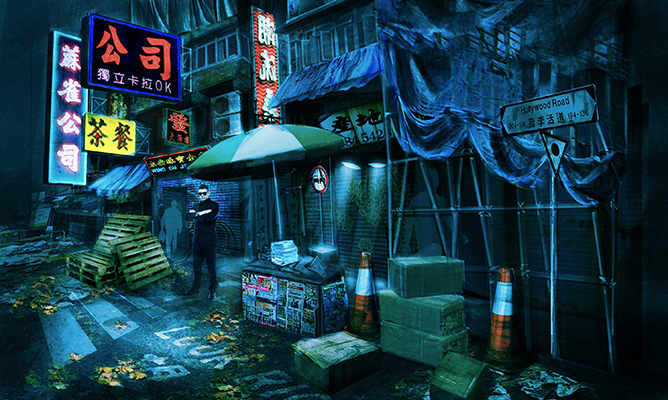 I snapped a few shots around me happily before I carried on with my tomb-sweeping duties. As I didn’t think much of my actions, I continued snapping photos of my surroundings even as we were at the columbarium visiting a few of our relatives who had passed on. It was surprisingly not that crowded for the day, which led me to decide on taking a photo of my relative’s urn for the future when I visit again. Later that day, I came down with a high fever that registered at 39 degrees and above. In addition, I experienced a wave of weird nausea that came and went. This led to my eventual hospitalisation where my mother asked if I had done anything out of the ordinary during Qingming. I told her no but when I thought about it, I suddenly remembered that I had been taking photos at the cemetery. I immediately reached for my phone to check the shots out. While they were mostly unassuming shots, I noticed that there were two prominent photos that stood out. The first was a landscape photo of the cemetery and the background had smoke that rose from the burning offerings that resembled silhouettes of spirits; several with no visible mouth and two dark holes for eyes. Their faces were frozen in agony while another spirit of an old man peered over the horizon with a serene expression. 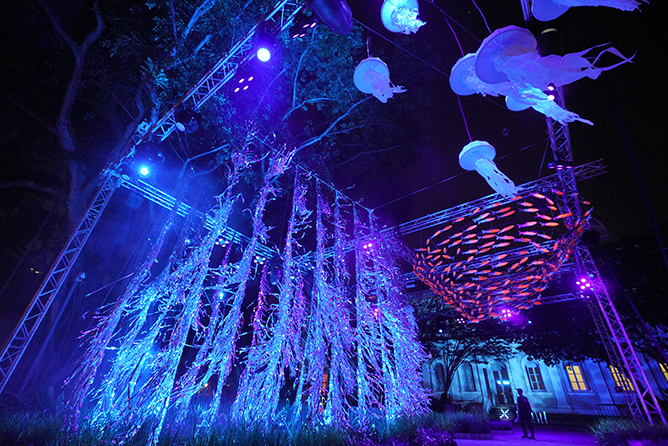 An annual highlight for local creatures of the night, the Singapore Night Festival is back for its 11th edition. Come 17 to 25 August, watch as the city comes alive after dark with immersive works of wonder that adorn the arts and heritage district of Bras Basah.Bugis. While you’re getting your ‘gram on at the various light installations, don’t be surprised if you happen to bump into a wild horse on the streets – this is just one of the many “unexpected encounters” you can expect on the festival grounds. With a total of 16 light installations and 27 performances to revel in, we picked out the top attractions of #SGNightFest you wouldn’t want to miss out on. Channel your inner Adele by setting fire to the rain at Ember Rain. 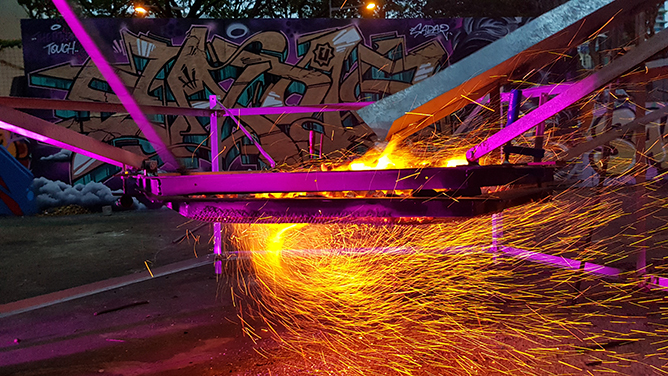 Taking the form of a 5-metre pagoda tower, get on a bike and pedal away to conjure a downpour of sparkling flames. Delve into the deep depths of a mystical underwater world located at the lawn at the National Museum of Singapore – an aquatic wonderland where you’ll be greeted with an abundance of golden koi fishes, glowing jellyfish and corals glittering in the light. Inspired by the philosophical concepts of language, the creative geniuses behind this unconventional structure are clearly not sorry about the word vomit. 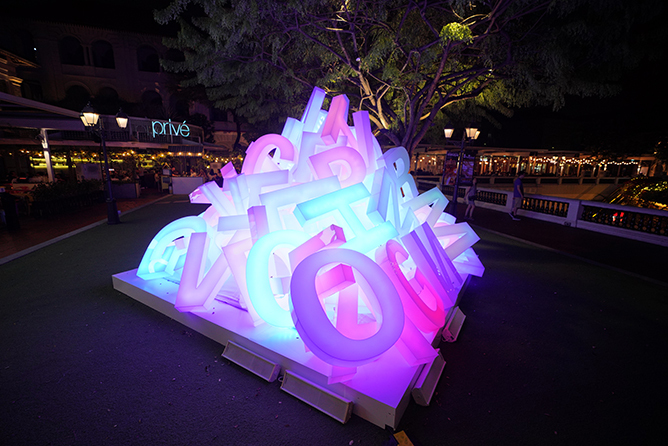 Juxtaposed against the backdrop of Singapore, it’s made out of a mishmash of alphabets that light up via motion sensors that detect your presence. Perfect IG fodder for the fellow wordsmiths! 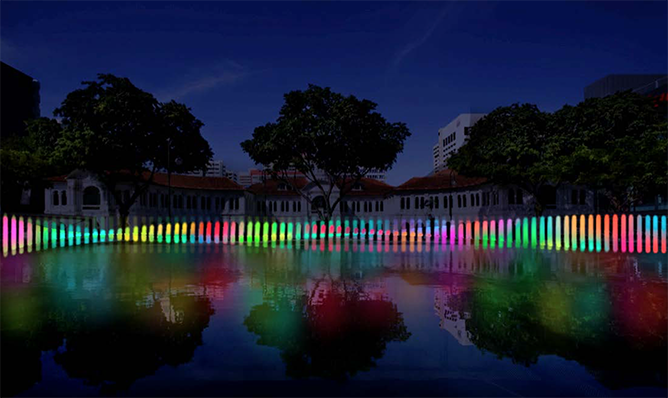 Suspended on the Reflection Pool above Bras Brasah MRT, this interactive light installation is a stunning sight to behold. You can control the mechanism that triggers wave motions from one end of the installation, which then sends out colourful waves of lighting that flow across the tranquil water surface. 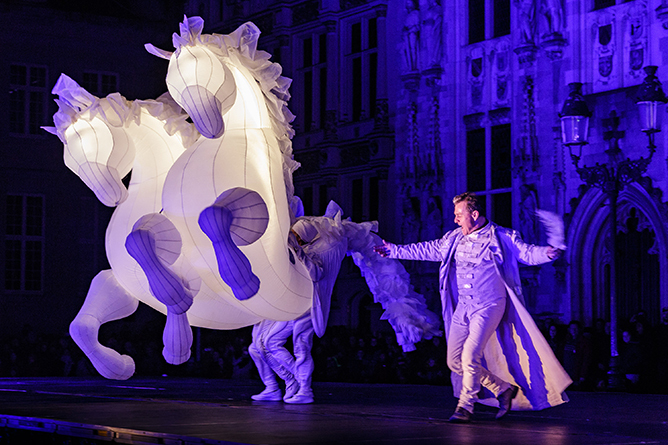 Presented by French outdoor theatre troupe Company Quidams, step into a dreamlike spectacle where larger-than-life luminous horses come to life and science-fiction Venetians lead festival-goers around the precinct in this mesmerising roving act. If you want to experience how it’s like living as our resident norse god, this supercharged duel is the closest you’ll ever get. 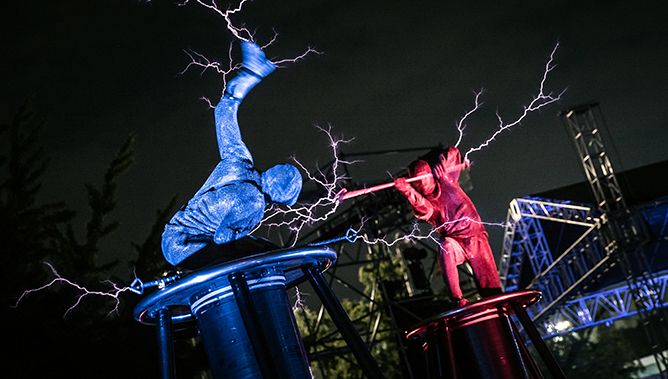 In this spellbinding masterpiece of electrical wizardry, witness a titanic battle unfold with searing shards of lightning blazing across Cathay Green. Thor approves! Singapore Night Festival 2018 runs from 17 to 25 August 2018 at the Bras Basah.Bugis Precinct. To check out the full programme lineup, head over to www.nightfestival.sg for more information. To help you figure out the best option for your needs, here are the latest mobile devices in the market – from nostalgic throwbacks to AI powerhouses. The latest flagship phone from LG has much to shout about: artificial intelligence (AI) camera, large 6.1-inch screen, and ‘boombox’ speakers. But none will stand out more than the familiar faces of K-pop boy band BTS, who are the ambassadors of the LG G7+ ThinQ ($1,198). Seven handsome reasons aside, this ‘personalised AI smartphone’ is made for all your entertainment needs. Capture crisp images with its dual rear 16-megapixel cameras that function well even in lowlight situations (handy for concerts! ), or jam out to BTS hits with speakers that deliver resonant sounds with powerful basses. Psst, here’s a deal you don’t want to miss: you can get a free 32-inch LG Smart LED TV 1 worth $599 with every purchase of the LG G7+ ThinQ! Available to the first 400 eligible customers from now till 15 August. 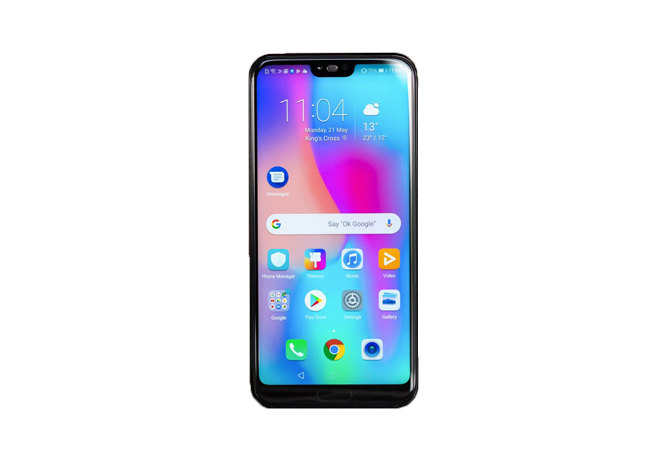 The Huawei Honor 10 ($579) makes its Southeast Asia debut. Its humble size of a 5.84-inch display comes loaded with features that make the phone punch well above its weight. Like most smartphones, it comes with an AI camera that automatically adjusts to the optimal setting, making photo-taking that much easier. Performance is fast, complemented with an impressive hardware wrapped in an iridescent glass design. For what the brand lacks in popularity, it certainly makes up for in its specifications. 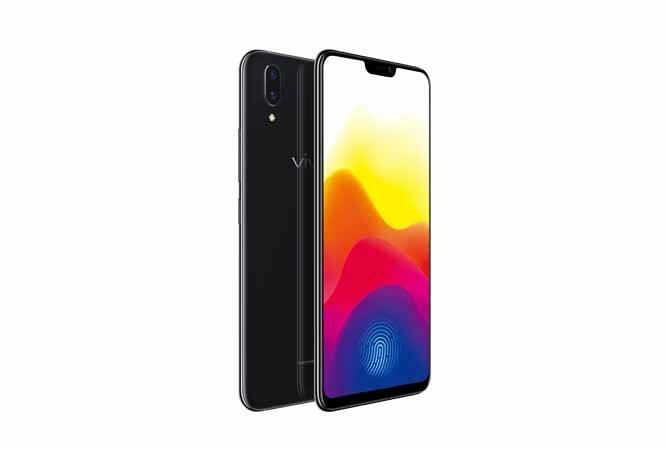 The Vivo X21 ($799) introduces a few proud features: in-screen fingerprint sensor, stunningly vivid screen display, and local heartthrob Nathan Hartono as its music ambassador. But what really steals the show is its 12-megapixel camera that will bring your selfie game to the next level with the AI Face Beauty function, which effectively detects skin tones and ambient light conditions. 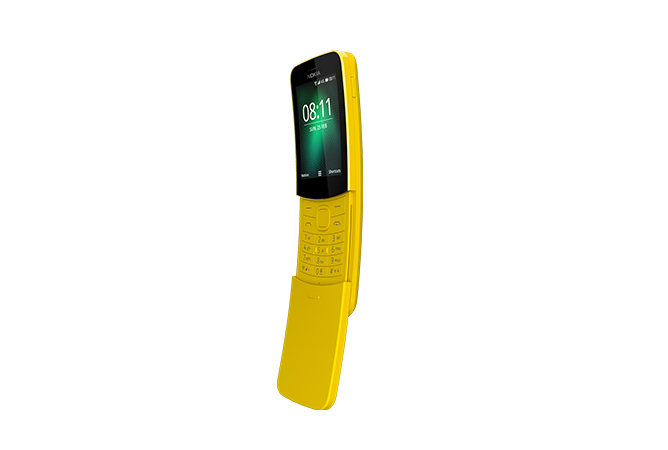 ‘90s kids who remember the 8-bit snake game of yesteryears will appreciate the iconic Nokia 8110 ($109). Tapping into their archives, the Matrix-inspired slider phone will make a comeback – this time with updated features. Available in black and yellow, it comes with 4G connectivity complete with an app store to access all your usual smartphone essentials. And befitting of all Nokia phones, this trooper also boasts incredible battery life (up to 25 days of standby time), and a sliding tactile mechanic that allows users to end or pick up a call. That’s not forgetting a revamped version of our favourite snake game. 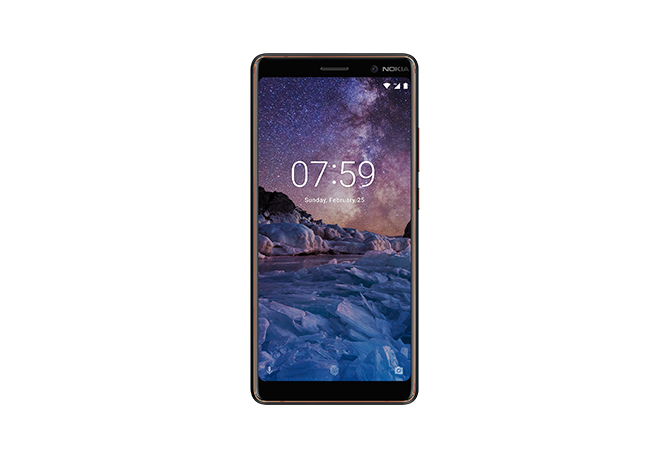 For a mid-range phone that isn’t mediocre, the Nokia 7 Plus ($599) comes decently balanced in price, style and hardware. Designed for creating picture-perfect content, it has a 16-megapixel front camera, rear-dual cameras, and Dual- Sight technology that captures a #Bothie using the front and rear camera simultaneously. The enhanced processor also comes hidden in a cool ceramic-like coating with a two-day battery life. The only downside? It’ll make putting down the phone that much harder now. 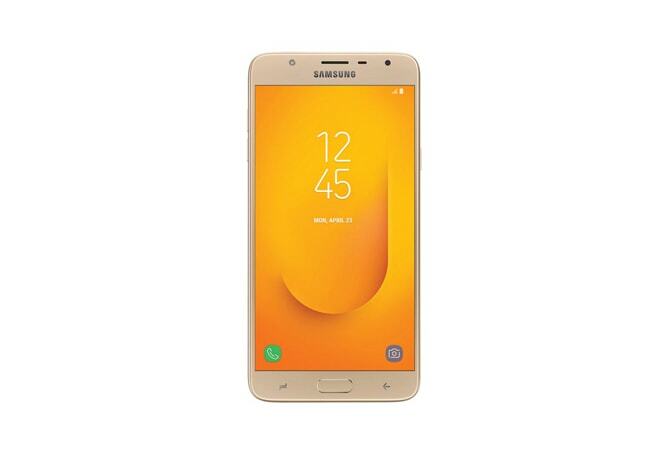 Those looking for an affordable introduction into Samsung’s smartphone family should consider the Samsung Galaxy J7 Duo ($348). Within its thin and sleek frame comes a 5.5- inch Super AMOLED display providing clear, crisp imagery. 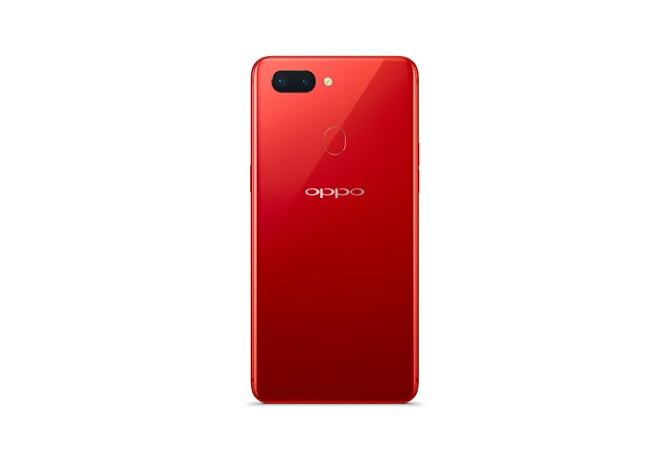 Its function extends to its dual- rear camera (13-megapixel at its highest) and 8-megapixel front camera, with dual SIM capabilities and the option of expandable memory. At a surprisingly affordable price point of $348, it’s a wallet-friendly option from a widely popular brand worth converting for. 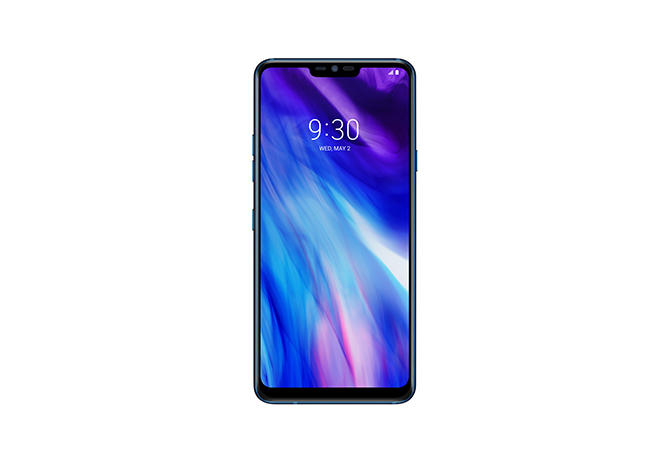 Combining both looks and function is the OPPO R15 ($749). On the exterior, the glass design creates a lustrous surface for colours like Nebula Purple and Rouge Red to dazzle in the light. Plus, it comes with a bezel-less 6.28-inch display that covers 90 per cent of the front body. Inside, you get an AI camera with intelligent scene recognition and technology that tackles backlit selfies. Other notable features include near-field communication and a roomy 128GB internal storage. This article was adapted from Teenage Vol.30 Issue 3, out on newsstands now! 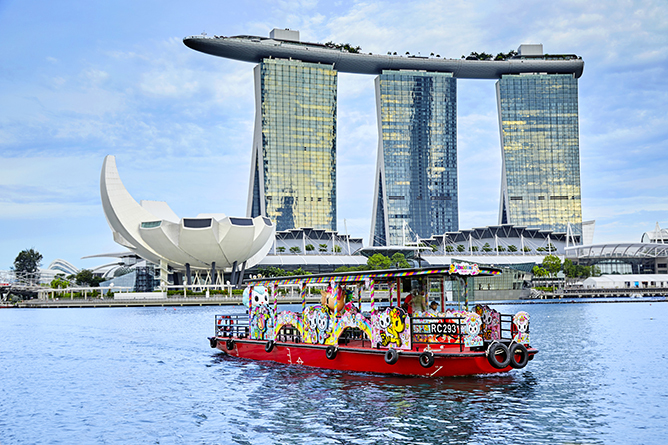 Just in time for National Day, the first ever Tokidoki-themed river cruise has finally hit our shores. Launched by Water B, this collaboration features five Singapore-inspired characters created specially by the creative brainchild of the iconic lifestyle brand, Simone Legno. 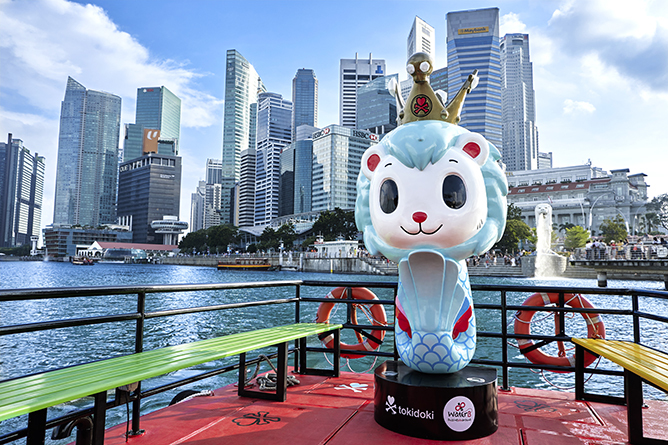 From 2 August onwards, fans of Tokidoki can embark on this once-in-a-lifetime voyage along Singapore River, which is home to many of our historical landmarks such as the Merlion Park, The Arts House and Esplanade Theatres on the Bay. If you can tear your eyes away from the scenic landscape, the boat itself is every bit as photo-worthy as well – all decked out in quirky motifs of several larger-than-life characters from the Tokidoki realm. Not only will you get to enjoy an immersive 40-minute cruise, you will also receive a box of exclusive Tokidoki merchandise including a pouch, lanyard and stickers. One session on the Tokidoki boat costs $58, and will be held daily at 5pm, 7pm and 9pm. Bookings can be made on the Water B website up to three months in advance. But here’s a sweet deal: you can get 10% off all river cruise bookings made in the month of August, as part of the National Day festivities! The Water B Tokidoki River Cruise sets sail from 2 August 2018 onwards at the Water B Fort Canning Jetty. If you thought last year’s instalment of Universal Studio Singapore’s Halloween Horror Nights was scary AF, wait till you step foot into Resorts World Sentosa this year. From 27 September to 31 October, brace yourself for “infinite fear” at the eighth edition of the annual spook fest. With five haunted houses, three live shows and two scare zones, you’ll be treated to an endless cycle of horrifying thrills revolving around Asian and Western folklores. Here’s what you can expect at #HHN8. Watching Stranger Things through the screen is creepy enough, imagine wandering through the eerie surrounds of the Upside Down woods or getting chased by the Demagorgon monster. 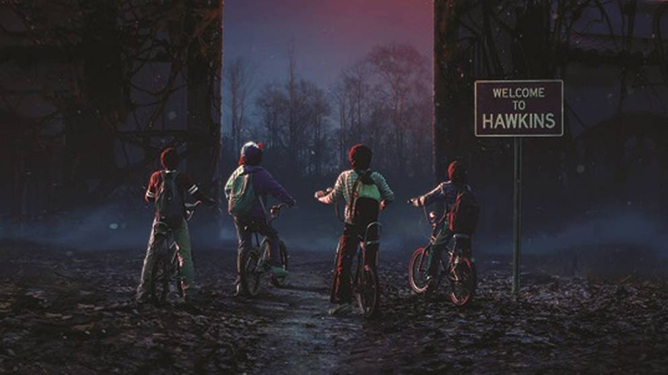 Bringing the fictional town of Hawkins to life, the thematic haunted house will feature a total of 12 artfully recreated scenes and storylines that will make you feel as if you’re Eleven herself. If there’s an Asian folklore that accompanied us growing up, it’s the legend of the Pontianak. 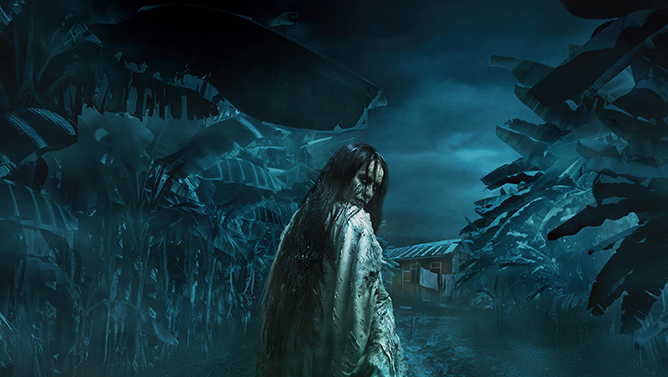 You’ll be setting foot into the hometown of the infamous vampiric ghost where you will watch the all-too-familiar scenes of the Pontianak unfold before your eyes – from the banana trees where she resides, to the laundry area where she sniffs out her next victim. Not for the faint-hearted! 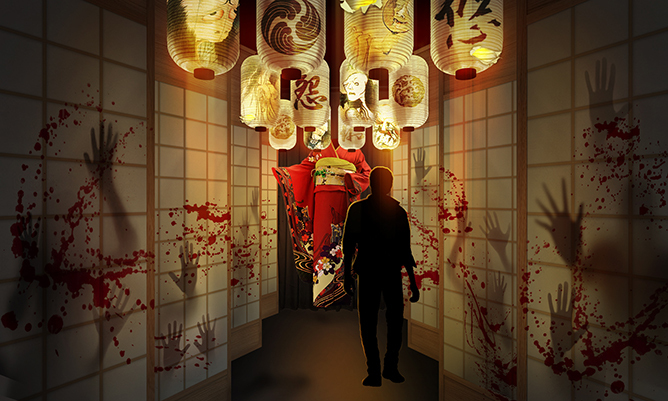 Go back in time to the Edo period of Japan in The Haunting of Oiwa haunted house. Dedicated to the classic Japanese ghost story of Yotsuya, you will come face-to-face with a wrathful Lady Oiwa who returns from the dead seeking revenge after being poisoned by her unfaithful husband. Because what better way to spend Halloween than killing hoards of the undead, amirite? Back by popular demand, the Zombie Laser Tag makes its comeback with an arena double the size – which means more zombies to fend off and greater obstacles to overcome. Do you have what it takes to get out alive? Guess you’ll just have to experience it to find out! Note: The Zombie Laser Tag experience is available at an additional $38 per participant. Other noteworthy highlights include a scare zone filled with ancient man-hunters, a Chinese-themed pagoda trapped with demonic creatures and floating spirits, as well as a series of original horror flims leading up to the nighttime event. Early bird ticket sales will run from now till 12 August at $55 (non-peak) and $65 (peak), while standard event tickets are available at $58 (non-peak) and $68 (peak) each. Tickets can be purchased from the RWS website and/or at Universal Studios Singapore ticket booths.